As footwear design innovation progresses, new materials and construction methods are used to make products lighter, more durable and breathable. This progression not only leads to better performance, but also increases aesthetic appeal, offering more color and print options than ever before. Keeping pace with footwear, Nike Basketball enhances sock design with the new Nike Elite Digital Ink printing process; a proprietary system of creating socks that are as vibrant as the sneakers they are paired with. In 2010, Nike Basketball first introduced the original printed Nike Elite Sock with a galactic graphic connecting to the “Galaxy” Nike Foamposite One. Nike continued to investigate innovative printing technologies and after four years of testing and design, developed the new Nike Elite Digital Ink printing process. 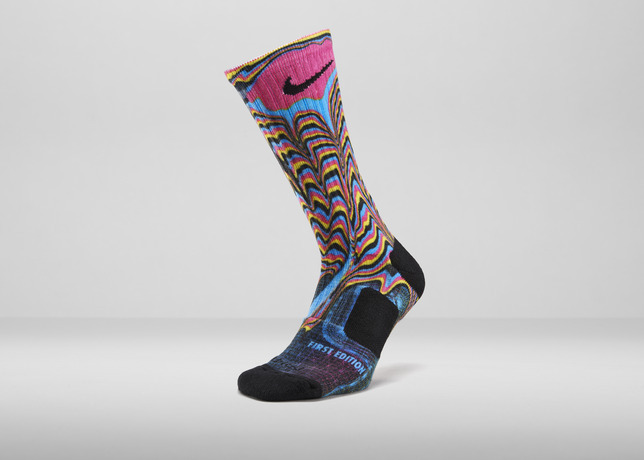 The Nike Elite Digital Ink printing process gives Nike designers the power to emblazon the Nike Elite sock with high-definition graphics and a myriad of vivid colors free of image distortion or fading. The process also maintains the performance benefits of the Nike Elite Sock – sweat-wicking, support and impact protection. 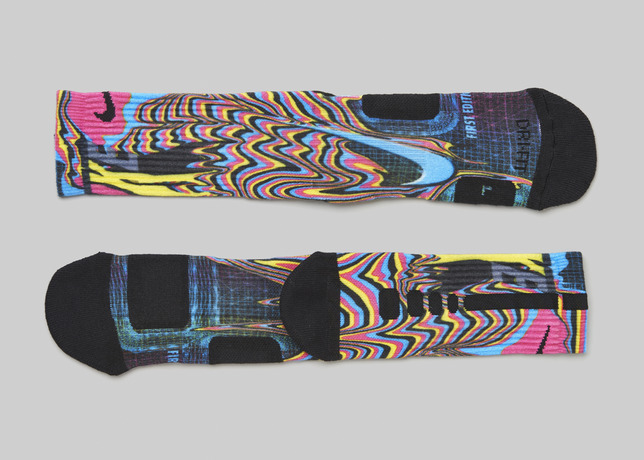 The Nike Elite Digital Ink sock will debut in the “First Edition” colorway, which celebrates the CMYK printing process and the four most popular ink colors used in most color printing – Cyan, Magenta, Yellow and Key (black). A variety of initial printing styles are represented, including drip effects, distortions, geometric patterns and typeface. Only 2,014 pairs will be available. Following this initial launch, Nike Basketball will roll out a number of Nike Elite Digital Ink socks linked to new footwear drops and special moments. The Nike Elite Digital Ink “First Edition” Sock will be available in limited quantities exclusively at nike.com beginning June 21.